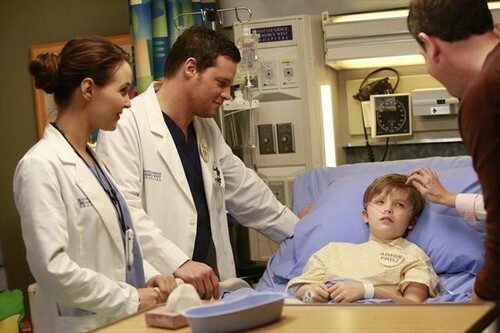 Tonight on ABC is an all new episode of GREY’S ANATOMY. Tonight’s show is called “This Is Why We Fight” and on tonight’s show the doctors seek help from an investor. If you missed last week’s episode we have a full and detailed recap here for you. On last week’s show as the hospital spiraled closer to financial ruin, Owen had to make some tough decisions, which included foregoing an expensive surgery that could save the life of a child. Meanwhile, Alex and Jo worked together to save the life of an infant, and April asked Jackson for dating advice. On tonight’s show as word of Seattle Grace’s financial trouble spreads, Catherine encourages Jackson to move to Boston, and the interns fear they might lose their jobs. Meanwhile, the doctors meet with a potential investor in a last-ditch effort to save the hospital, and Alex impresses Jo while caring for a patient. 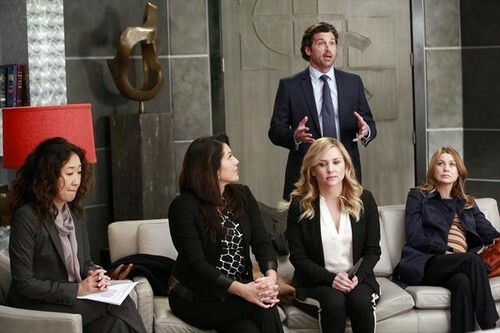 GREY’S ANATOMY SEASON 9 EPISODE 16 LIVE RECAP HERE!